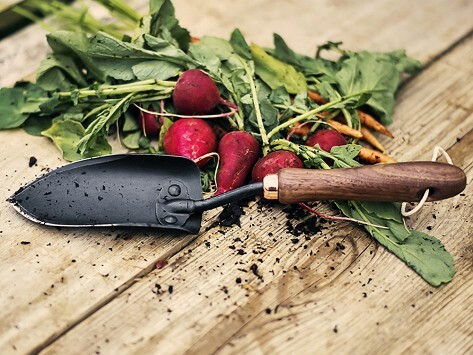 Made with strong, long-lasting walnut and stainless steel, this spade will last for many seasons of garden work—and it helps to give back to those in need, too. It has a simple, yet functional (not to mention well-constructed) design. This quality gardening spade is rust-resistant and comes with a lifetime warranty so that you can dig through both dense and soft soil for years to come. Dimensions: 14.25" x 3" x 1.75"